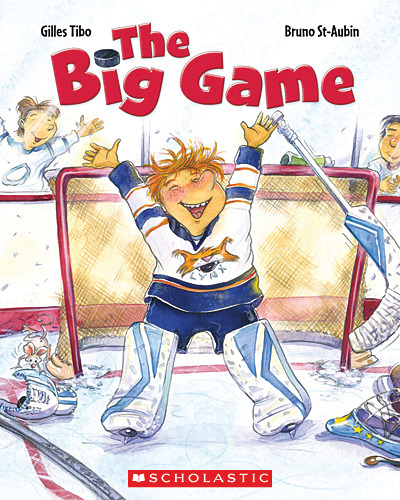 The Big Game is a humourous picture book about life as a hockey kid. Author Gilles Tibo walks readers through a day-in-the-life-of of Nicholas, a hockey goalie en route to an important game. What makes the book feel fresh and authentic is Nicholas’ perspective, which reveals he sometimes feels bombarded by others’ advice and input. After the first period, Nicholas comes up with a strategy to stop the shots on his net. He soon lets other players in on his plan, leading the team to success. While Tibo’s text is entertaining on its own, St. Aubin’s artwork adds another layer of energy and excitement, featuring bright, enticing colours. His work has received multiple honours, including two Governor General awards. 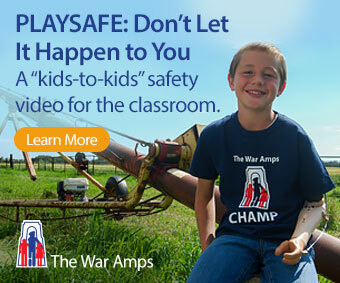 Classroom Connections: The Big Game lends itself to the comprehension strategy of Predicting with clearly laid out text and content that makes readers curious. The illustrations support readers’ predictions with rich detail and realistic facial expressions as children formulate guesses about how Nicholas manages to turn around his performance in the big game. Overall, Tibo’s honest approach that shows the stresses of hockey, makes The Big Game a stand out from the numerous hockey picture books on the market.